We started to sell the following products from April 2015. 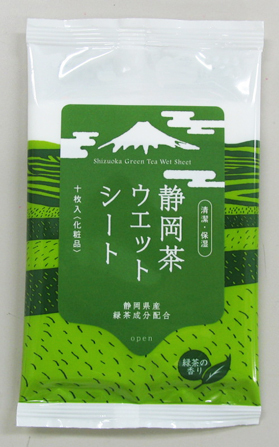 The wet tissue (cosmetics) is made from Shizuoka green tea extractives, and 8 herbal moisturizing essences from the wealth of Fujisan. It helps to cleanse and moisturize. 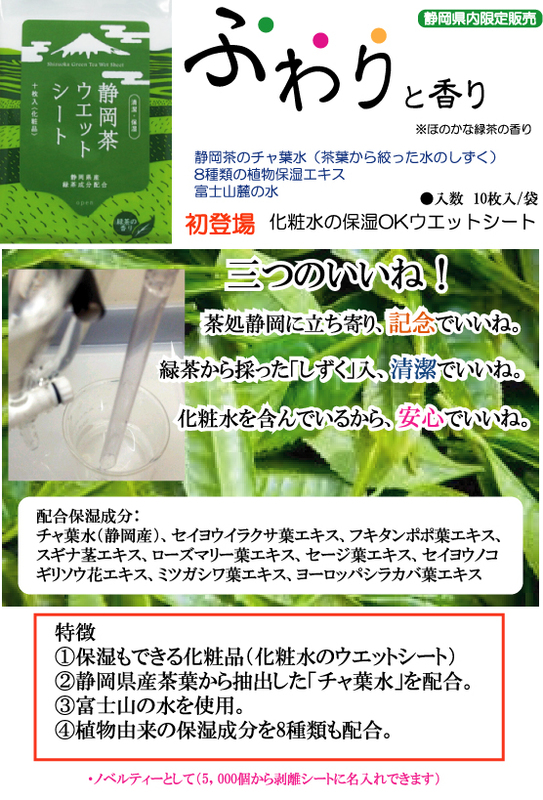 It’s a mix of refreshing green tea. 4. A mix of 8 herbal moisturizing essences. Copyright (C) 2015 Fujinokuni SozaiKatsuyou Cooperative. All Rights Reserved.